When using PTE for timesheets, once a timesheet is approved you cannot make changes to it. 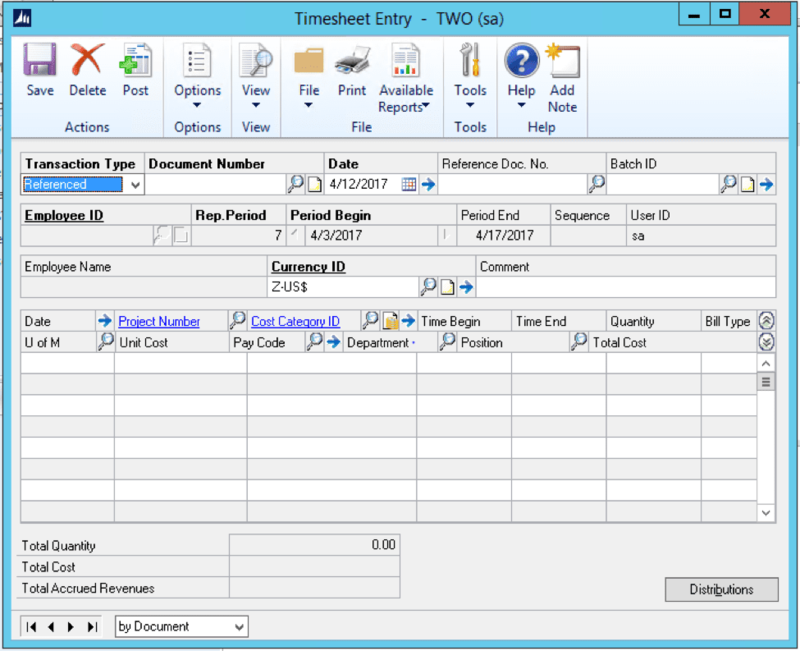 However, you can make an adjustment to a timesheet and reference the original timesheet. The directions below walk you through this process step-by-step. Date: This will auto fill with the beginning of the period. You can change the date to a date between the Period Begin and Period End. Project Number: Enter the project number for the adjustment. Cost Category ID: Enter the cost category for the adjustment. Quantity: Enter the () hours amount. 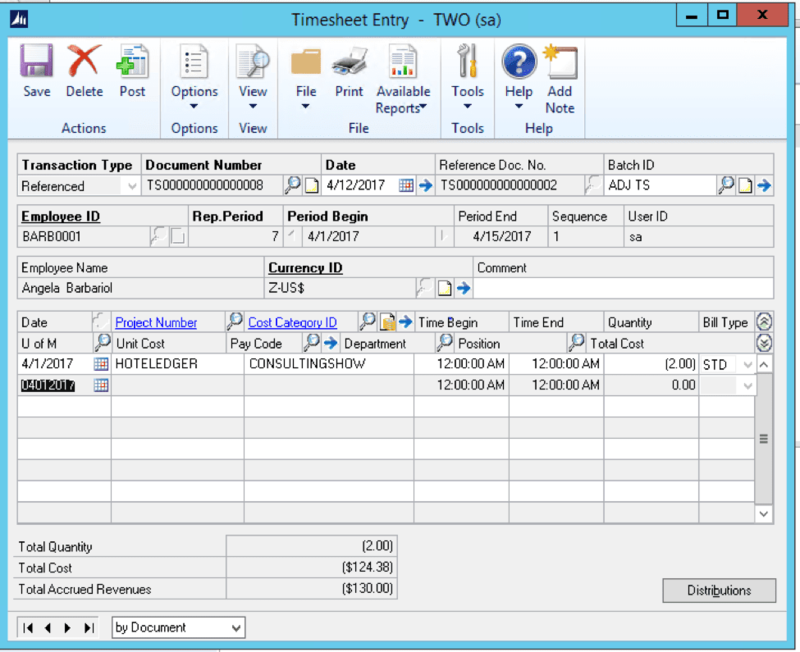 Once you have all the adjustment amounts for the employee on the timesheet, you can save and post the batch. When posted through to payroll, there will be a NEG pay adjustment on the employee paycheck. Which Microsoft Dynamics ERP Solution Best Fits My Company?